SYNOPSIS: Five loosely interconnected couples struggle through the process of having a baby, each dealing with their own issues. REVIEW: Kirk Jones, award winning director of Absolut Vodka TV ads and other advertising campaigns, also has made a name for himself with film projects including Everbody's Fine and Waking Ned Devine which he wrote and directed. Now he returned to the pilot's chair to direct a story from Shauna Cross (Whip It) and Heather Hach (Freaky Friday - 2003) based on the Heidi Murkoff books 'What to Expect When You're Expecting'. Do you know what to expect? Let's find out. 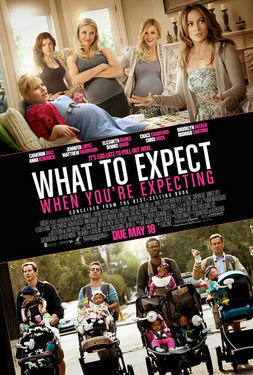 What to Expect When You're Expecting focuses on five couples in different situations of trying to have a child. Television fitness trainer Jules (Cameron Diaz, Bad Teacher) goes on a television dancing competition reality show and starts a relationship with dance partner Evan (Matthew Morrison, Glee), resulting in her pregnancy. Baby store owner Wendy (Elizabeth Banks, The Hunger Games) has been trying to conceive a child for two years with husband Gary (Ben Falcone, Bridesmaids), but have been having difficulties until an unexpected evening changes the course of their lives. Competing food truck chefs and former high school daters Marco (Chace Crawford, Peace, Love, and Misunderstanding) and Rosie (Anna Kendrick, 50/50) 'reconnect' one night at an outdoor film showing. Holly (Jennifer Lopez, The Back-up Plan) and husband Alex (Rodrigo Santoro, 300) look to adopt from abroad when Holly is unable to conceive, sparking financial and emotional fears. And finally, Gary's own retired NASCAR champion father Ramsey (Dennis Quaid, Beneath the Darkness) has news that his young beautiful new wife Skyler (Brooklyn Decker, Battleship) is also expecting - twins! As each couple tries to get a handle on the intricacies and obstacles of bringing a baby into the world or into their hearts, their paths cross loosely with the other couples in some fashion. What to Expect When You're Expecting chronicles the 9-month journeys of five very different couples. Some are married, some are not. Some are in committed relationships, some are just trying to do the right thing by their partner. From Jules and Evan's hectic high-profile, in-the-public-eye reality show schedules, to barely making it financially food truck chefs Rosie and Marco, each couple portrays a partial cross-section of the reality of future parents. Holly and Alex try to do everything to impress the adoption agency, knowing full well that their financial situation will barely cover a new mortgage and a new baby if anything dire were to occur. On the other end of the spectrum, Ramsey and Skyler live a posh existence with a beautiful estate, a golf course in their back yard, and swimming pool complete with an official Jimmy Buffet 'Margaritaville' tiki bar. For them, money is no object and worries seem to shed off their backs like water off a duck. But secure finances do not make for easy times as Jules and Evan struggle to keep their Type-A personalities in check for the sake of the baby. Rich, poor, or middle class, the development and arrival of a child can only be planned so far in advance. 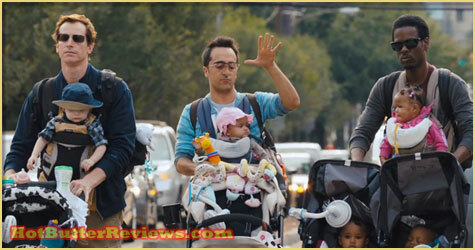 The film advertises as a dramatic comedy, but plays more to the light drama than to the comedy. In fact, the comedic elements come from the characters that fall outside of, but connected to, the five couples. Wendy's employee Janice (Rebel Wilson, Bridesmaids) is quirky and silly, hanging on her boss's every word and wisdom - dumb, naive and strangely lovable - like a automobile wreck. Holly's aquarium boss Kara (Wendi McLendon-Covey, Bridesmaids) is funny when she berates her husband Craig (Thomas Lennon, What's Your Number?) about the pronunciation of their son's name. And the aptly named 'The Dude's Group', which includes several veteran fathers including Vic (Chris Rock, Grown Ups), Gabe (Rob Huebel, The Descendants), Kara's husband Craig, and Patel (Amir Talai, The Pursuit of Happyness). They all meet in the park every Saturday to play with their kids, shoot the breeze, gossip, and observe the first rule of 'The Dude's Group' - no judgement! Kids playing in the dryer or swimming in the toilet bowl? No big deal! Kid eating a cigarette? Stuff happens! Kid falls off the changing table? Didn't happen on my watch! Dodged a bullet on that one! The rest of the cast of characters are too worried about their pregnancies and adoptions to spend too much time with all out humor. 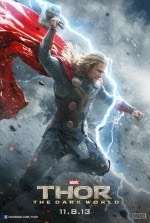 The film is touching to a point, not as funny as it was made out to be in the trailers, and utterly busy. With five unique couple's experiences to contend with, we fill rushed through the delivery of the story. Couples pass by other couples like ships in the foggy night, rarely realizing that the other exists. There is so sadness and much more joy as the bundles of joy are brought home, and relationships strengthen or mend. But there is too much going on to be invested on all of it. Unlike the hit baby daddy comedy Knocked Up or the sweet and endearing Father of the Bride II, What to Expect When You're Expecting dilutes the quality of emotions in favor of quantity. Each actor or actress brings their A-game to their roles, either comedic or dramatic, but there is not enough time for anyone to shine too brightly. Maybe Kirk Jones was trying to make the audience feel disjointed or rushed so we could appreciate what the characters were experiencing in the story themselves. Each of the couples could have had a successful film all to their own. 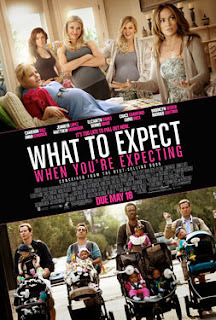 What to Expect When You're Expecting is a sometimes sweet, sometimes laborious film, spending too much of its time making sure every method of child birth or child adopting has a voice and is heard over the screaming of the other stories. Pushing all of these individual stories onto the screen at the same time, unfortunately, fails to deliver in the end. Hi! Does the frequency of your posting depend on something or you create articles when you have a special mood or spare time on that? Can't wait to hear from you.